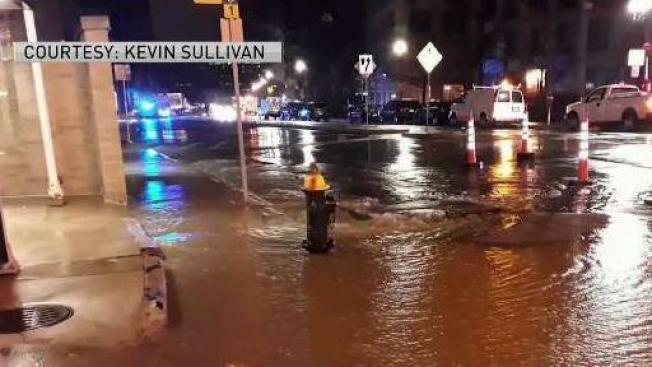 Boston police are asking the public to avoid one city street due to a water main break. The break was reported sometime before 6:45 a.m. on Blossom Street, which has been shut down from Charles Street to William Cardinal O'Connell Way. Pedestrians and commuters are urged to stay away from the area while crews work to repair the water main break. National Grid and the Boston Water and Sewer Department responded to the scene. It is unclear what caused the break.